My young adult/middle grade (as you will) novel Habitat is now available through Triple V Publishing – on Kindle and other ebook sites. $2.99 download, and I’m working on a POD version which should be out soon. 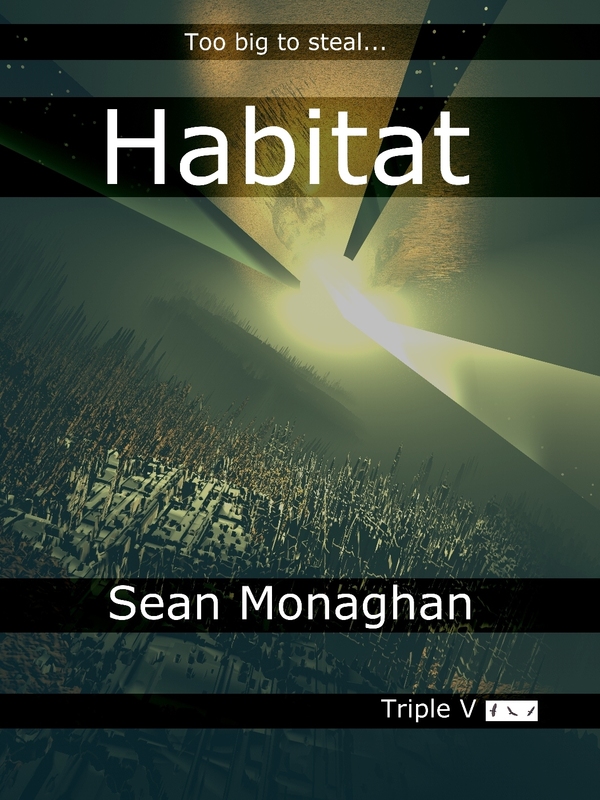 Habitat is a backlist title. Originally published on BookHabit – one of the first ebook sites. BookHabit sold it’s inventory to SmashWords, but at the time I was busy with other things (and disappointed with the lack of sales – zero – and the complicated set of hoops to jump through to format it for SmashWords), so it fell into limbo. Of late I’ve been learning about formatting – seriously not that big of a deal – and about indie publishing. With my newly edited novel Rotations (more on that soon) just released from Lucky Bat Books, now seemed like a good time to bring Habitat back to light. This entry was posted in fiction and tagged aliens, ebook, kindle, middle grade, novel, science fiction, telepathy, thriller, young adult on 31 December, 2011 by Sean Monaghan.